Review Air Optix Aqua Very comfortable, love these contacts. I can see well and they last well. A little expensive, but I guess you pay for quality! Have worn this brand for years and years. Happy with it. Would recommend. Review Air Optix Aqua Great to wear. Last as long as they should. Comfortable. Review Air Optix Aqua The best contact lenses! Review Air Optix Aqua Become slightly uncomfortable towards the end of the month, but otherwise very good. Review Air Optix Aqua Changed to these lenses as eyes very dry and found them excellent. Review Air Optix Aqua Love these lenses, really comfortable and great value!! Review Air Optix Aqua Amazing! Review Air Optix Aqua A couple have been uncomfortable at first, also I do get quite dry eyes which makes bison quite blurry. Although a little tinted it is still hard to see them in the lense pot. Review Air Optix Aqua I suffer from dry eyes and have tried other manufacturers lenses but have always returned to Air Optix as they work for me. Review Air Optix Aqua Brilliant lenses. One of the best I’ve used . Will keep using them. Quick delivery and I like the reminder service. Review Air Optix Aqua I am using this lenses for more than 7 years, they are comfortable and have a clear vision. Great service and speedy delivery from Visiondirect every time. Review Air Optix Aqua These are slightly more expensive than some cheaper brands I have tried I.e clearvision but are completely worth it. I bought a couple of packets of clearvision to try last month and they tore to peices in my eyes. If you are considering trying them to save a bit of money don’t bother trying clearvision - believe me it’s not worth it. Review Air Optix Aqua Best contact lens ever! Review Air Optix Aqua This is great value for money! Always delivered quickly and in great condition, been ordering for over 2 years and never had any issues. Would love to have more budget delivery options, however, still better value than in the optician. Recommend! Review Air Optix Aqua These are my usual product and have served me well for some years. Used carefully and kept really clean, they easily last for a month or more. Review Air Optix Aqua Very comfortable and always fresh. Review Air Optix Aqua Have been using these lenses for a number of years, with no issues at all. Very comfortable lenses and very durable. No complaints at all, 100% happy. Review Air Optix Aqua Very comfortable and soft. I've been using them for years. Also great service from visiondirect! Delivery next day before noon, and even got a little sweet gift! Review Air Optix Aqua I bought +0.50 and +4.00 (2 boxes each 3 contacts). 2 Left eye contacts lasted less than 2 weeks, vision got very blurred. I am always very careful when removing and putting contact lenses back on, always wash my hands beforehand, always use good quality cleaning liquid. Because it happened twice in a short time I would not buy these again. Review Air Optix Aqua really comfortable! Review Air Optix Aqua Very good product, just last about 3-4 days not the full time. but very comfortable and love being able to sleep in them! Review Air Optix Aqua I absolutely love these and have been using these for about 5 years now. They are comfortable, they do not dry out and most importantly they last throughout many hours of work through the day. I recommend them over any other monthly or long term contact brands. Review Air Optix Aqua Very impressed with these lenses. Very comfortable and easy to insert. Vision with these lenses is crystal clear. Also very impressed with the customer service and speed of delivery even this close to Christmas, will definitely be ordering again from here. Review Air Optix Aqua I tried theses for the first time recently. I find them easy to use, the blue tint on them makes it easy to see them when handling them. They are comfortable to wear. I do find my eyes feel a bit dry after about eight hours though. I will be using them again. Review Air Optix Aqua Quick fast delivery. Very satisfied. I do find my vision is not as good towards the end of the month. Review Air Optix Aqua Feel great with this lenses. Review Air Optix Aqua Good fit. Good style. Like them! Review Air Optix Aqua Very fast delivery:) Great communication:) PERFECT!!! Review Air Optix Aqua It's my first time to use this product, compare with the other brands it's good value and vison, also it's easy to put on but I think it doesn't breath that much so it's a bit tiring if u wear it daily. Review Air Optix Aqua Quality lenses,good value. Review Air Optix Aqua I'm quite pleased with these lenses. I was attracted to these lenses as they claimed to allow you to leave them in for 6 days. I also wanted to replace my Specsavers lens mail lenses that seemed poor quality construction. These lenses are certainly much better quality. They feel thicker and sturdier but that doesn't make them uncomfortable. I have kept them in for about 3 days max so far. They are a bit dry when you first wake up but that quickly passes. All in all a very good lens and I'll be ordering them again. Review Air Optix Aqua Great contact lenses. I've been using them for the last 5 years. Very happy with their quality and price. They are very easy to put on and comfortabe to wear. Love their light blueish color as well. Recommend to everyone. Review Air Optix Aqua Great service. Fast delivery. Review Air Optix Aqua Arrived really quickly, excellent quality. Thanks! Review Air Optix Aqua Good vision and comfort, a bit more expensive than other brands but worth it. Only thing if you wear these lenses all day for 30 days they can be a bit gritty near the end. Review Air Optix Aqua Same quality lenses that I get from my Eye doctor. Easy ordering and fast shipment. Best of all, saves me money. Review Air Optix Aqua I find these ones comfortable to wear, however I feel they do not last a month. Toward the end of their expiry, they become very scratchy, so much they I usually had to change them for a fresh pair already after 3 weeks. I am not buying them anymore. Review Air Optix Aqua High quality blue-tinted lenses (for ease of handling) for monthly wearers. Very reliable. Review Air Optix Aqua Good quality lenses, wear them for 12-16 hours a day. Review Air Optix Aqua I have been using these lenses for a few years. They are pretty consistently good for the time they say they are. (Not the 2 week ones in my experience though). I will buy them again when it is time for a resupply. Review Air Optix Aqua Would definitely recommend! Had a contract and cancelled it as these worked out cheaper. Fast delivery too! 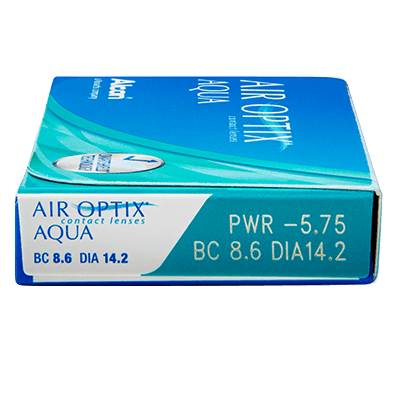 Review Air Optix Aqua Air optix aqua are the best contact lenses I have ever tried. They don't dry my eyes nor tire my eyes as other contact lenses I worn before. They are simply the best! Review Air Optix Aqua Excellent lenses and excellent service! Review Air Optix Aqua Good lenses at a good cost, however they are a little uncomfortable for the first 20 mins when first inserted. Also, they do tend to dry out during the evening / artificial light, which results in clouding / reliability issues. Could do with a lens that has a higher water content really. Review Air Optix Aqua Air optix are one of the best contacts I have ever tried. Review Air Optix Aqua good product. Review Air Optix Aqua Good lenses. Review Air Optix Aqua I like these contact lenses. easy to put on and take off. Review Air Optix Aqua Excellent lenses at a great price. Next day delivery too. Review Air Optix Aqua Highly recommended! Very comfort, worth the money, will purchase again! Review Air Optix Aqua Able to wear them all day without my eyes drying out! Great product! Review Air Optix Aqua Would definitely buy these from this website again! Good product and great price! Review Air Optix Aqua Great ! and much cheaper than a well known high street chemist ! Review Air Optix Aqua Great product. Quite comfortable and doesn't feel dry for longer periods of time than other lenses. Review Air Optix Aqua Great fitting and easy to use product excellent price and very fast delivery. Review Air Optix Aqua Good comfort lenses I've been using solely for 6 years now - never had any problems at all. Great price too! Review Air Optix Aqua Good price, great comfort and fast delivery. Good job! Review Air Optix Aqua feels great! wear it using computers all day, but still super comfortable! Review Air Optix Aqua This is the first time I have used this service and I would definitely use them again. very cheap and the product is just as good as the ones I used to buy from the opticians. Review Air Optix Aqua Great value for the cost! Review Air Optix Aqua Fantastic for the price and amazing fast delivery!! Review Air Optix Aqua Great comfort. Fast delivery on product. Highly reccomend. Review Air Optix Aqua I've been wearing this product for half a year. It's better than all the lenses I've used before. Good choice with good price. Review Air Optix Aqua Quick delivery, nice product! Review Air Optix Aqua Comfortable even after sleeping with them! Review Air Optix Aqua Very happy with these contact lenses. Good comfort all day - even in the late hours. Review Air Optix Aqua Great lenses. Very comfortable. Review Air Optix Aqua I find these lenses very comfortable and would not choose any other lenses! Review Air Optix Aqua I have been using these lenses for quite a while now and they have never let me down. I use them daily, putting them in as soon as i wake, and taking them out just before i go to bed and they are always comfortable and provide me with perfect vision, i have also used them as extended wear lenses with no problem. I 100% recommend these great value for money comfortable lenses. Review Air Optix Aqua The best monthly lenses out there in my opinion. Robust but still really comfortable, easy to use and at a great price! Review Air Optix Aqua These contact lenses are really comfy and very breathable even after wearing them all day. I never get itchy or dry eyes with Air Optix Aqua although I did used to previously with other brands and I work in an office environment using a computer all day. I would highly recommend them to people who wear contacts most of the time. Also, Vision Direct is a great website for me to purchase my lenses from and their service is fast and efficient. Review Air Optix Aqua I have used these lenses for several years now and would recommend them. They are comfortable and easy to handle and I have had no problems with them. Review Air Optix Aqua I have been using these lenses for about 7 years daily. They have never caused me any problems. If I occasionally forget to take them out for the night, my eyes feel ok in the morning. Ordering with vision direct is very simple and new pack of lenses usually arrive within a few days. I have not found them cheaper anywhere else so far. Review Air Optix Aqua Good value for money with comfort use. Review Air Optix Aqua Comfortable lenses at a great price. Review Air Optix Aqua Find these lenses really comfortable and they can be worn longer than my old brand of lenses. The delivery was very quick and the prove really competitive. Review Air Optix Aqua Been using these for years, very good product. Review Air Optix Aqua I love AirOptix, they are the most comfortable contacts I've tried, they don't dry out during the day and I've never had one fall out! 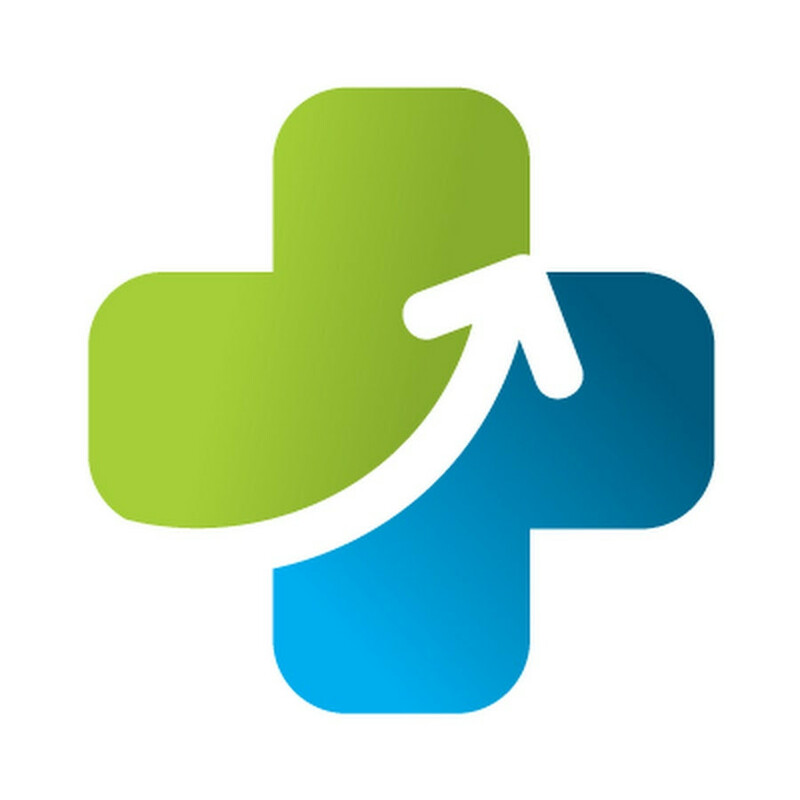 I also love getting them through VisionDirect- great service, nice and easy, and quick delivery! Review Air Optix Aqua Very comfortable lenses that don't move too much if you fall asleep with them in! Review Air Optix Aqua I love this so much as I keep using this for more than 3 years!! It's comfortable, moisturising and can go to sleep with it!! I really recommend it!! Review Air Optix Aqua a classic! Review Air Optix Aqua I have been wearing these lenses since they first came to market. They are excellent - they don't dry up like other lenses and they don't irritate the eyes. I wear mine at least 12 hours every day and have never experienced any issues. You forget your wearing lenses because they are so comfortable. Review Air Optix Aqua Very comfortable and good value for money. Fast delivery and well packaged. I'm delighted to have found Vision Direct! Review Air Optix Aqua i love these lenses. I have been using monthly contact lenses for at least 5 years now and these are by far my favourite. They are very comfortable, no dry sensation that you can get with other lenses. Great value for money. Review Air Optix Aqua So much cheaper than what I would pay on the high street! Came as next day delivery really good service so comfortable to wear as well. Really reliable will defiantly be ordering for here again! Review Air Optix Aqua I've used these lenses for a few years now and I've not had any problems with them. They seem well suited to me. Review Air Optix Aqua These are great you see. I didn't see it coming, but they look great, and I've been wearing them for the last 5 years and are great all round. Highly recommended. Review Air Optix Aqua I currently have a monthly contract for my lenses via a well known optician, they provide a good service except for if I need replacement lenses in an emergency they can be very uncooperative in providing spares even though it is in the contract. I have to have a different prescription for each eye and I discovered these are the nearest to my regular lenses so I ordered some to use as spares. I am very happy with these as they are comfortable and reasonably hard wearing and good value for money. I would definitely recommend them as would I recommend Visiondirect themselves for a great, fast reasonably priced service. Review Air Optix Aqua Found that this product suits my eyes better than any other lens I have tried. Review Air Optix Aqua It really comfortable and totally worthy the price, definitely will order again. However, the delivery is a little slow. Review Air Optix Aqua Never had any problems or discomfort. Won't be changing to a different product anytime soon! Review Air Optix Aqua Great lenses from Ciba Vision, quick dispatch from Vision Direct. Review Air Optix Aqua I have been using this brand for over seven years now and am extremely happy with them. Review Air Optix Aqua Get on fine with these lenses. Great vision. Only thing I find is they seem less durable than other lenses I have tried. Even though I'm super careful when handling I have found a few pairs to deteriorate with handling and tear. A dodgy batch maybe? Review Air Optix Aqua Great for dry eyes! Review Air Optix Aqua I have very sensitive eyes and these contacts gave me the most comfort until now. Review Air Optix Aqua Great product, comfortable and lasts the course of the month. Much cheaer than buying in store. Quick, friendly service. I'm impressed with both my lenses and the company. Review Air Optix Aqua I will recommend. Review Air Optix Aqua My eyes are pretty sensitive and I have had issues with this brand on days that I've worn them for an extended period (12+hours). They wear well if not worn for too long. Review Air Optix Aqua Excellent for the first 3 weeks but tend to dry only a little towards the end of their life. Review Air Optix Aqua Very comfortable and good value for money. Takes a little time to get used to wearing multifocal lenses but worth persevering. Review Air Optix Aqua These lenses are very comfortable and my vision while wearing them is better than it was while wearing a different product. I have been wearing contacts for many years and I am extremely satisfied with Air Optix. Review Air Optix Aqua Perfect contact lenses and very comfortable. Review Air Optix Aqua Very comfortable, breathable lenses for wearing daily and staring at a computer screen all day. Review Air Optix Aqua Easy ordering for good prices. Review Air Optix Aqua These are so comfortable to wear all day long with no drying out of the eyes which I usually have trouble with. Because of problems with dry eyes I decided after reading reviews of Air Optix I would give them a try. I have sometimes fallen asleep with them in but this has not caused any problem with dry or gritty eyes. These are the best lenses I have ever had and I have worn contacts for over 20yrs. Review Air Optix Aqua Good monthly contacts, conftable to wear. Review Air Optix Aqua Comfortable and do the job! Review Air Optix Aqua The most comfortable lenses I've tried. Review Air Optix Aqua I'll definitely buy it again. Review Air Optix Aqua Great product and much cheaper than any where on the high street. 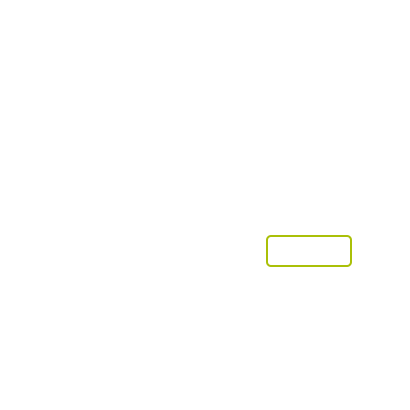 I have used Vision Direct for many years and would not go to anyone else the service is excellent you order your contacts one day and they are delivered the next. Review Air Optix Aqua I will always use air optix very comfy lenses, the extra oxygen they let it in means my eyes stay moisturised for longer which was a problem for me. Review Air Optix Aqua Great comfort lenses at a very good price. Review Air Optix Aqua I love them! And I can't bet the price anywhere else. Review Air Optix Aqua Very good lenses. Always extremely quick despatch! Review Air Optix Aqua Great lenses for me when looked after!! Review Air Optix Aqua These brand of lenses were recommended by my optician and I have been using them ever since. It has been 2 years now and they never let me down, they are a great value! I get dry eyes eventually but it`s not too bad! Review Air Optix Aqua Wonderful lenses. Took no time at all to adjust to. Would never go back to my original lenses. Review Air Optix Aqua Fantastic comfort .. excellent service. Review Air Optix Aqua Brilliant lenses, no problems with them at all! Review Air Optix Aqua nothing is 100 % perfect, but these lenses are as good as you can get. Review Air Optix Aqua Very good product. I used to wear the Focus lenses and it actually took me some time to get used to Air Optix. But now I feel great with them. Review Air Optix Aqua I'm giving 5 stars in all three sections as these are the best contact lenses I've ever had, and I tried quiet a few and always got back to these. I wear them more than I should, at least 10 hours a day, and they still don't irritate my eye, I can only recommend them to anyone who's in doubt. Review Air Optix Aqua These are very comfortable lenses. I don't know they are there. Great value on Vision Direct. Review Air Optix Aqua The excellent product - comfortable, great vision and good value for money. Review Air Optix Aqua Good value for high quality lenses. I buy monthly lenses which tend to last me 6 weeks if I keep replacing the solution. I use them for coaching and playing sport and they afford me extremely clear vision. I have been using them for several years and will continue to do so. Review Air Optix Aqua Very comfortable for long wear. Review Air Optix Aqua It wasn't good enough for my eyes. Different people with different eyes. Sometimes I felt like some small knifes pierced my eyes. Review Air Optix Aqua These contact lenses are superb. No trouble at all with them, just stick them in every morning and take them out at night then you can see like an owl. Review Air Optix Aqua Great product. I don't even know I am wearing contacts they fit so well. Review Air Optix Aqua I have used Air Optix lenses for a long time and have always been happy with the quality and comfort. Definitely the best I've tried over the years! Review Air Optix Aqua Comfortable contact lenses that I can wear all day for 10-12 hours without them feeling dry. i have been wearing them daily for the last 4 years and have had no issues. 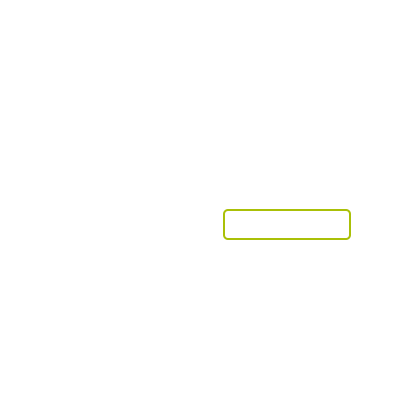 Would definantely recommend them as they are excellent value compared to my opticians price. Review Air Optix Aqua Great lenses and next day delivery. Review Air Optix Aqua My optician recommended that I change to these lenses as they are kinder to the eyes. 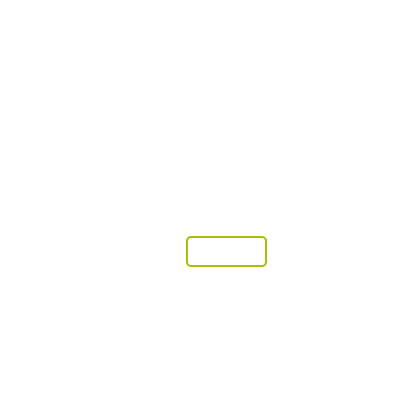 I had had no problems with them at all and they are excellent valud for money. Review Air Optix Aqua Very good product. Review Air Optix Aqua It is definitely one of the most comfortable and easy wear contact lenses that you can find in the marker. If you clean them properly every day, you can keep wearing them for more than 30 days with no issues!! Review Air Optix Aqua i have found the monthly better than the dailies good product. Review Air Optix Aqua I have chronic dry eye, so it's pretty hard to find contact lenses that aren't a constant bother. I usually wear a pair for a little over a month, which is much longer than other brands have lasted. Review Air Optix Aqua Excellent value for money. Very comfortable and I can wear them for hours. I wear them all day for work and well into the evening. Review Air Optix Aqua Ordered online easily, product delievered promptly. Very happy with lenses. Review Air Optix Aqua An excellent product, very comfortable and good quality lenses. Highly recommended. Review Air Optix Aqua Very happy with purchase! Review Air Optix Aqua I find reading small print difficult with the lenses while the same prescription in my glasses is excellent for reading,. Review Air Optix Aqua Have used for 6 year no problems and very good quality with no eyes issues either since started using them. Review Air Optix Aqua Excellent comfort and definitely good value for money! Review Air Optix Aqua Very comfortable lenses. Wouldn't choose any others. Review Air Optix Aqua I wear them all day and everyday! I find them very comfortable to wear and highly recommend to anyone who is looking for monthly disposable lenses. Review Air Optix Aqua Very good product with excellent value for money. Review Air Optix Aqua I have used Air Optix for years and I have not experienced any problems. In addition to, you can sleep while wearing them, which is handy occasionally. Review Air Optix Aqua Excellent ,the only lenses my eyes can tolerate!!!! Review Air Optix Aqua Very comfortable on the eyes and durable as advertised. I'm very happy with this purchase and they will last a month if cleaned on stored in the contact lens box daily. Review Air Optix Aqua Great value for monthly lenses. Review Air Optix Aqua I have been wearing them for years now and they are very comfortable, they enable me to see clearly and are great value for money. Would highly recommend them. Review Air Optix Aqua I have used these lenses for years and have always been impressed with their wear-ability. My eyes do not feel dry nor irritated even by the end of a long day (14 hours plus) of wearing these. Highly recommend. Review Air Optix Aqua These fixed focal length contact lenses were excellent for me for far vision (I have myopia) with crisp and sharp distance vision and very good all day comfort. I needed to switch to the multifocal more recently to enable me to read close-up with my lenses in. These lenses are good value too. Review Air Optix Aqua Comfort at a great price. 5*. Review Air Optix Aqua Great product, much more comfortable than the daily lenses and much more convenient, the price is great and very reasonable, I would definitely recommend this lense to regular contact lense users. Review Air Optix Aqua I've used these lenses now for over 2 years and they are very good, very comfortable and would recommend them to anyone for general usage. Also used them diving with a mask and swimming with goggles and no loss of vision or movement either. Review Air Optix Aqua Really good product. Doesn't dry your eyes out and very comfortable to wear. Review Air Optix Aqua Very comfortable, easy to use. I previously was a B&L loyalist, but these lenses are great. Review Air Optix Aqua Always reliable , robust , comfortable .You know what to expect. Review Air Optix Aqua Very good product, never had any problem with these lenses. Review Air Optix Aqua I love these contacts and have never had an issue with them, extremely comfortable and vision is excellent. You can't feel them and don't blur. I just wish they were cheaper! Review Air Optix Aqua Probably the most comfortable yet. Review Air Optix Aqua These are a more expensive option but you can wear them for 30 days without issues. I switched to these when my previous Ciba vision lenses were no longer available and have found them to be just as good. Review Air Optix Aqua These lenses are ok, although they become a little irritating towards the end of the day or if driving. Review Air Optix Aqua An improvement on my discontinued product. Review Air Optix Aqua Excellent value. I wear these all day/night. I have done so for years and never had a problem with them. Fantastic lenses! Very pleased with these lenses, can wear them for hours without them feeling uncomfortable. I can even sleep in them if I want to which is great! Much better than my old lenses that used to dry out my eyes. Review Air Optix Aqua These contact lenses are very dry and worst of all are definitely not the right strength although I have ordered the same prescription as all my other contact lenses. I can't see and have headaches because of straining my vision. I am thoroughly disappointed and will have to repurchase new lenses. A complete waste of money. Review Air Optix Aqua I would say these are the best lenses I have ever used. Your eyes feels fresh even after wearing them all day and I never experience the gritty feeling you often can get when wearing lenses for extended periods of time. Review Air Optix Aqua My eyes are very sensitive. Most of the contact lenses become dry/painful for me after 6 hours so I gave up when I started working full time.These are better: it only requires a few drops after 8 hours or so. Real reason for my review was to compliment visiondirects return process and service. I ordered the wrong strength, emailed them -very helpful, no fuss, no cost, my replacement lenses came first class post. Spot on. Review Air Optix Aqua Love this site! Such fast delivery ! Thankyou! Air Optix Aqua Excellent product! Air Optix Aqua I have used these for 5 years and couldn't be more happy with my choice. Super comfy! Air Optix Aqua Best monthlies on the market! Air Optix Aqua A little bit more expensive than my old lenses, but worth it! Great quality! Air Optix Aqua I have used these monthlies for years. I usually clean them with Renu and feel like helps my lenses from getting too dry. I can wear them the whole day without having to use eye drops. Air Optix Aqua are perfect for me! Excellent lenses for me. They’re very comfortable, and my eyes always feel healthy with them in. Its great not having to worry that if you fall asleep with them in, they’ll damage your eyes. I have slept with these lenses in before, and have been very impressed that my vision hasn’t been blurry or eyes too dry upon awakening. Not great for my very dry eyes After less than 6 hours, these lenses feel like grit on my very dry eyes. At my optician's urging, I have switched to Johnson & Johnson Acuvue Oasys 2-week lenses. So far those are better. I think these are best suited for medium or only slightly dry eyes. good for my dry eyes They work good for my dry eyes, and the price is more affordable. Good Product but... I have been experiencing some discomfort - although this didn't happen for some while after changing lenses - I think perhaps my optician should have advised me to change solutions..? Up to 18 hours I can wear these lenses for 18 hours. Not so sure I liked the price and the comfort, but am considering dailies if I can find them at a cheaper price. Good lenses I find the lenses very comfortable and I like the one step cleaning process which means no messing around with rubbing and neutralising. Good upgrade Just changed to Aqua version, seems much more comfortable and supposedly better for my eyes, did not consult an optician regarding change. Good lenses I would buy dailies if I could afford them but these are comfortable and affordable. Much better than my old contact lenses. Find out how to read your prescription for Air Optix Aqua including base curve and diameter. Air Optix Aqua by Ciba Vision are designed for those with busy lifestyles, who want contact lenses that are easy to use without sacrificing quality vision. Made from the latest silicone hydrogel materials, these lenses combine clear vision with a high level of comfort. The lens material allows up to 5 times more oxygen to reach the eye and is built to retain moisture and resist deposit and protein build ups that lead to discomfort. These three factors combined are what Ciba Vision calls TriComfort technology; designed to give you longer, healthier wear from your contact lenses, whilst leaving them feeling natural and breathable all-day long. 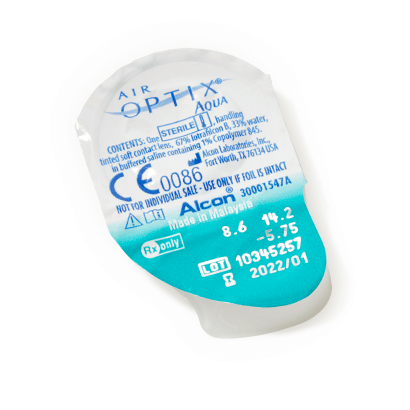 Air Optix Night & Day Aqua or Biofinity are recommended by our optician as a compatible alternative to these lenses.